For many years the problem of gun control remains among the most controversial and debatable issues due to its multifaceted social, legal, and political backgrounds. Lately this problem attracted a new huge wave of public attention as a response on recent school massacre in Virginia Tech University, which took lives of 33 people, including 5 members of teaching personnel, 27 students and the psychopath-shooter. Every year in the U.S. thousands of crimes and murders are being committed by using firearms, and hundreds of people are being killed by deliberate shooters. According to the statistics publicized by National Ruffle Association of America, there are about 65-80 million gun owners in our country, who possess in total over 200 million guns. Also, about 45% households in the U.S. have firearms. There are many supporters of tough gun control policy, who think that it is a good way to reduce the amount of crimes and violence. They criticize the existing legislation and insist on withdrawal of the 2nd Amendment, which protects the right of Americans to bear weapons, including firearms, and on adopting new laws which would limit gun availability. They argue that if anyone has an opportunity to buy and keep guns, there’s a real danger to be killed by an easy-tempered person right on the streets in case of any misunderstanding. Also, there are numerous opponents of gun control, who argue that it limits the rights of American citizens. They believe that not guns, but criminals commit crimes, and stronger laws would not lower the amount of violence, because law enforcement won’t neutralize the criminals. They underline that guns may serve for protection, and it can be a good idea to keep firearms at home for own safety in case of a robbery or other danger. 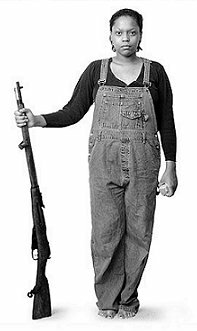 They say that historically it was easy to get a gun in our country, and there were no forms, licenses, or waiting periods. At the same time the amount of crimes was respectively small. Therefore, there are some opposing viewpoints on the problem of gun control, and it is up to an individual to make a decision, what really makes sense in such public discussion. To my mind, the most acceptable way is to implement some measures directed on adopting reasonable gun regulations or, probably, placing some limitations on bearing firearms. But, certainly, such measures must not be radical and must not make anybody feel oppressed. Recent horrible event in Virginia Tech University is the best prove of the fact that violence is absolutely real and very serious threat to a human life in our country. It is very important to mobilize the efforts and do everything possible in order to control this problem, to strengthen our gun control laws and to lower the amount of aggression and violence spreading around from our mass media. 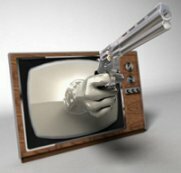 The influence of modern television, cinema movies, Internet and other mass media on our life is huge, and recently people express their concern about the abundance of violence, aggression, brutal behavior and hostility spreading into our minds from our TVs or computers. A great deal of specialists also point on this significant social problem, underlining that nowadays aggression and violence became very important elements of our media entertainment. Finally, potential damage and harm which can be done to our society as a result of dramatic increase of violence and aggression in our mass media became a threatening community problem not only on national, but also on global level. The essence of this problem is the fact that seeing a lot of cruelty, hostility and violence in cinemas or television eventually leads to increase of brutal behavior in real life. Sociological researches also demonstrated that there are certain connections between aggression in the media and the one in reality. Moreover, it was discovered that the effects of exposure to aggression in media on not only sensitive people, but also on very well-balanced minds are really significant. That is why it is impossible to underestimate the importance of this issue since it is related to our morality and social safety. It is very easy to see short-term effects of this problem. Almost every week our news agencies report about the shootings which regularly occur in different cities or states of our country. Also, it is a known fact that children and teenagers are especially sensitive to any negative influences, abuse, hostility or aggression in modern mass media due to their vulnerability and unstable psychology. 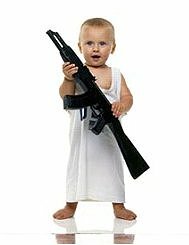 Such serious short-term effects of being exposed to a lot of violence in the media on children as copying hostile and aggressive behaviors, feeling scared of disturbing images on the TV, resulted in fears to be alone at home, nightmares, depressions, lack of self-confidence and normal social skills, failures in school and inability to achieve success, etc. As to long-term effects of this problem, they usually include possible psychological and mental disorders, increase of alcoholism and drug abuse, joining gangs and being involved in various criminal activities, inadequate social behavior and inability to adopt certain rules, norms, attitudes or values, which are practiced in modern society. But the most threatening and destructive long-term effect of this problem is corrupted imagination about justice, morality and other very important human values, because many teenagers and young people are convinced that excessive amount of violence and brutality in modern mass media is absolutely objective and true reflection of our life. It is impossible to deny that the problem of abundance of aggression, cruelty and hostility in modern mass media is one of the most topical social concerns of our times. Unfortunately, the studies found out that a great number of people suppose that such possible measures of control as censorship or certain restrictions may not be effective solution for this problem, because this issue is considered to be a matter of individual responsibility of every person or every parent. Nevertheless, current situation requires immediate collaborative efforts directed on lowering the amount of violence in mass media since it puts to a serious danger our safety, peace and even physical survival of the humanity. Destructive effects of drug and alcohol abuse are well known, but still the problem of drinking and using drugs by American teenagers remains topical in our modern society. The reasons why young people go on intoxicating themselves include their desire to feel grown up, to fit into their social environment, to improve own self-esteem or to get rid of some emotional problems, as well as natural enjoyment as a result of narcotic effects. 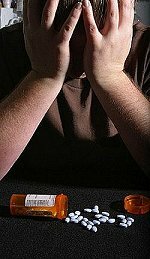 The consequences of alcohol and drug abuse may vary from psychological problems, inability to succeed in life, problems with building relationships and finding a job, light dependence and predisposition to consumption of such substances, to more dangerous outcomes, like heavy dependence, aggression and violence, suicidal behavior or death. It is possible to name several most influential reasons why drug and alcohol abuse remains very common among modern youth. In my opinion, the most considerable contribution to this belongs to purposeful direct promotion of alcoholism and drug consumption in our mass media, especially in cinema and TV. For example, there are many famous TV series, like Mad Men, in which smoking and abusing alcohol (as well as sexual harassment and racial discrimination) in the workplace are highlighted. Moreover, drinking is indirectly promoted even in such “family-oriented” comedy TV series like Two and a Half Men or Scrubs. There are quite a few cinema movies, where alcohol or drug consumption does not take place or plays no important role in the plot. A great number of Hollywood movies visualize alcohol or drug abuse without direct condemnation of this harmful occupation. Moreover, such movies as animated film A Scanner Darkly featuring Keanu Reeves or the movie The Basketball Diaries starring Leonardo Di Caprio picture daily routine of drug users and the way their addiction replaces more important things in their life. Alcoholism is also presented in many Hollywood movies, and due to such “tolerance” to drinking in our mass media, a common idea about modern superhero can be put to picturing a middle-aged man with a gun in one hand and a bottle of whisky in the other. One more important reason is public behavior of the majority of American music or cinema stars and idols, who are repeatedly reported to be caught drunk or being under effect of some substances. In particular, an idol of many teenage girls Britney Spears is, probably, one of the most successful “promoters” of alcohol and drug abuse. Lately, she was regularly reported to be taken to a hospital being under effect of some narcotics. A young and talented American actress Lindsay Lohan was several times arrested and charged for driving under effect of alcohol. Finally, one more crucial reason which triggers improper behavior of youth and increases drugs or alcohol consumption is dealing with drinking parents. In many situations drinking in the family brings to such negative social effects, as constant quarreling and misunderstandings between the parents, divorce or hard disease of a family member. Needless to say that it affects children and teenagers, who sooner or later try to forget their problems and stresses with the help of drugs or alcohol. In conclusion, it is necessary to mention that in order to lower the amount of drinking and drug abuse among our youth and teenagers, it would be very effective to decrease the exposure of American young people to any examples of alcohol and drugs consumption, both in mass media and in real life.